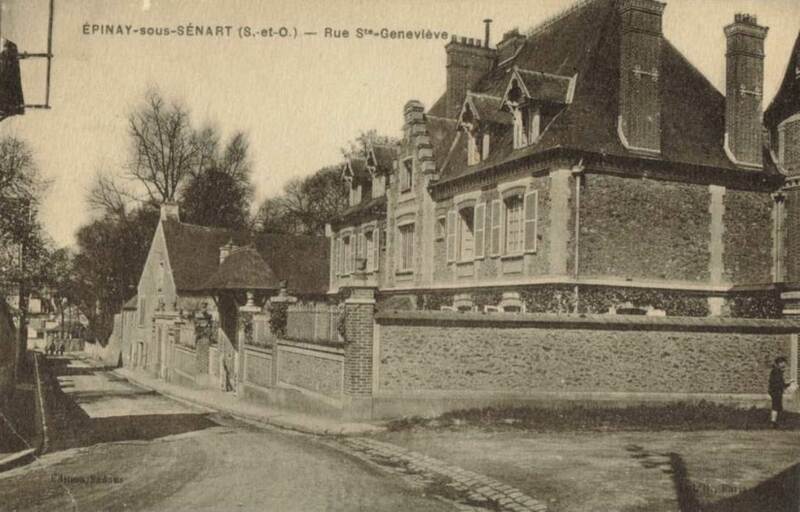 For a larger sample of such buildings see here. 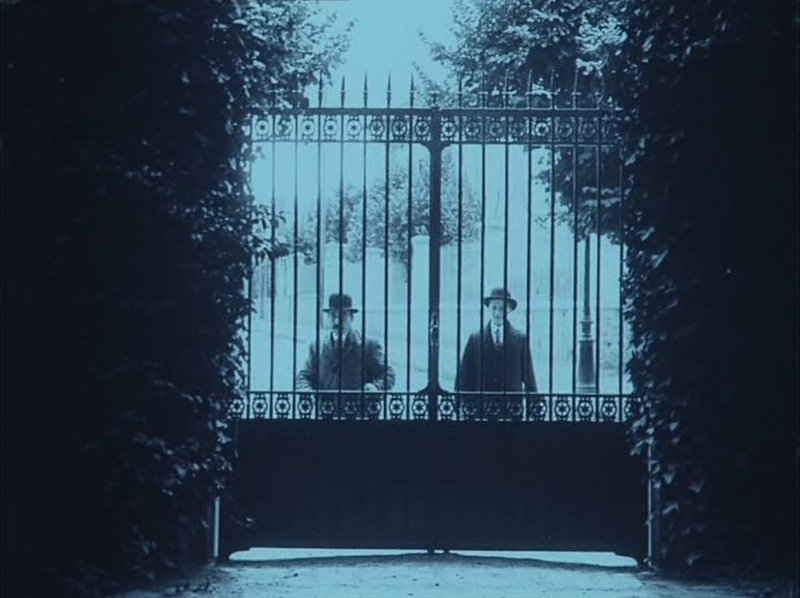 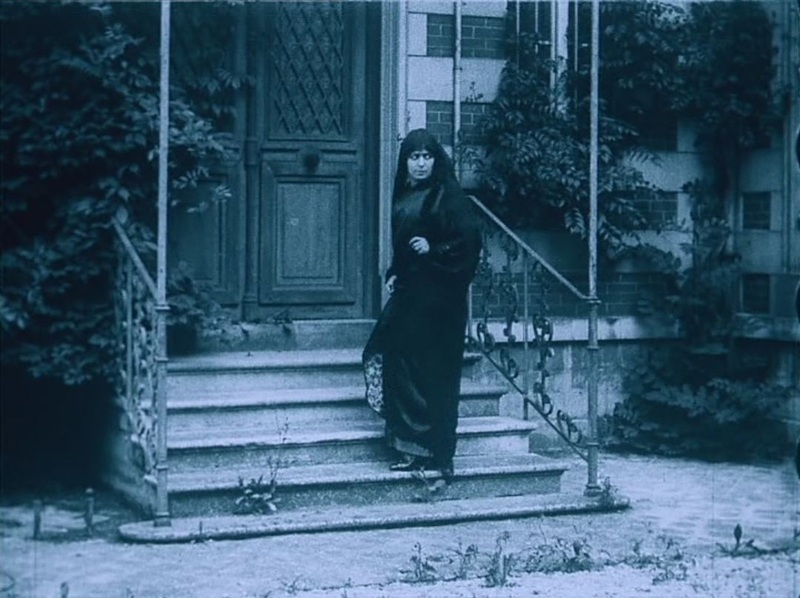 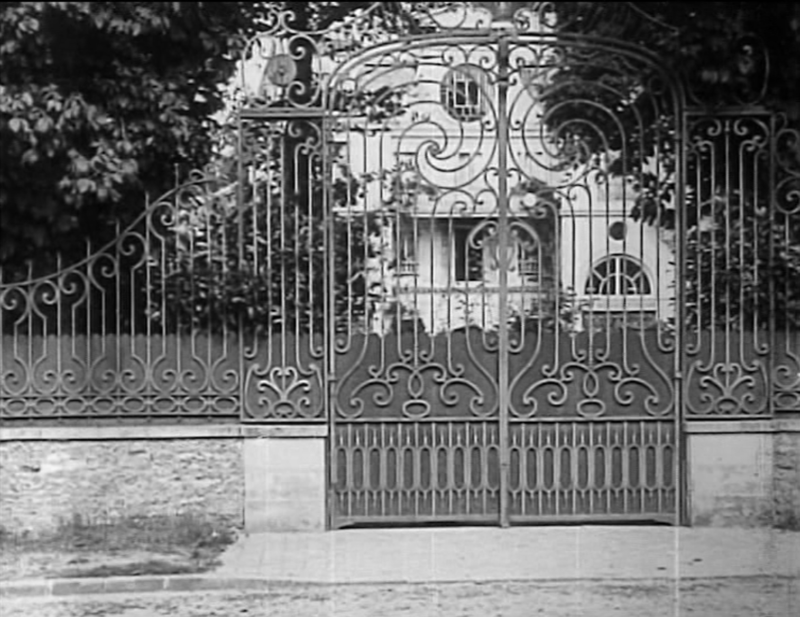 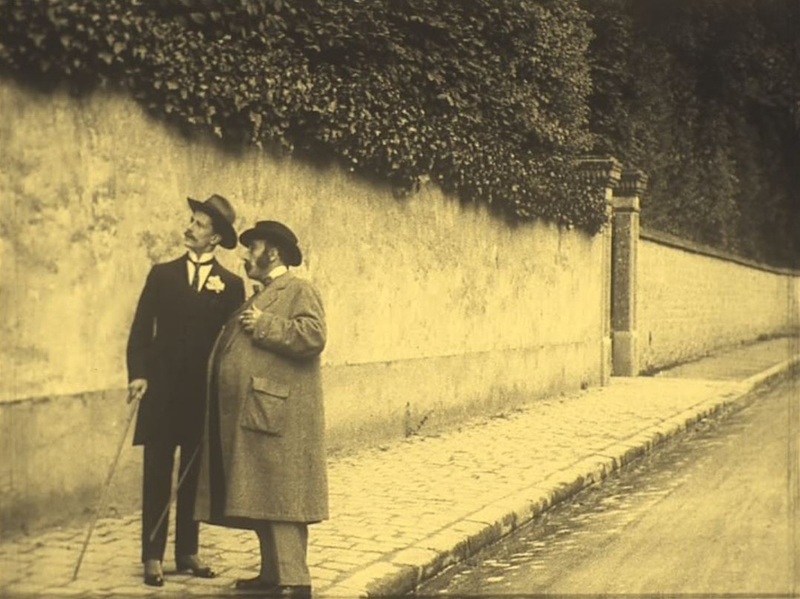 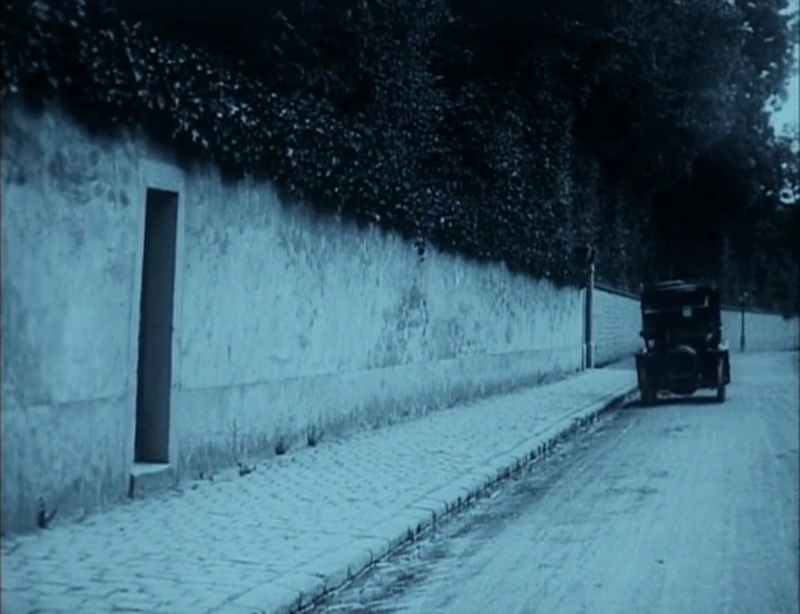 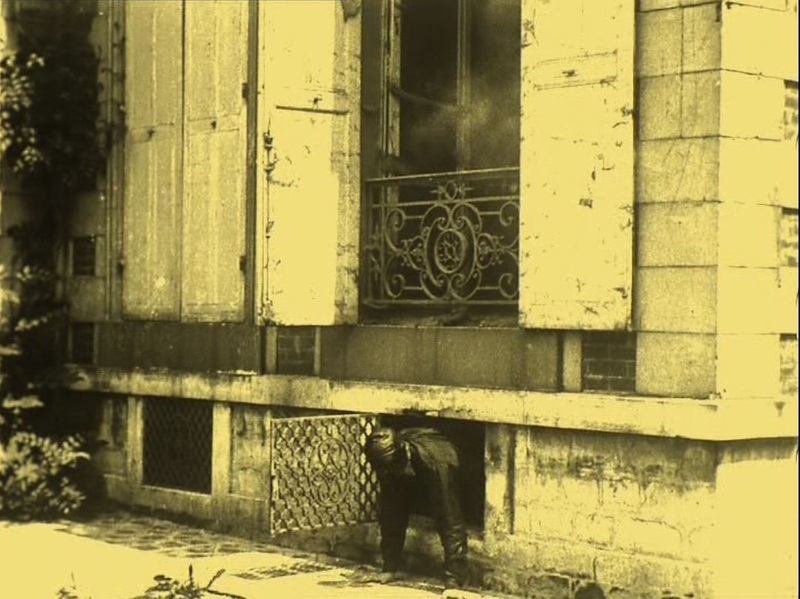 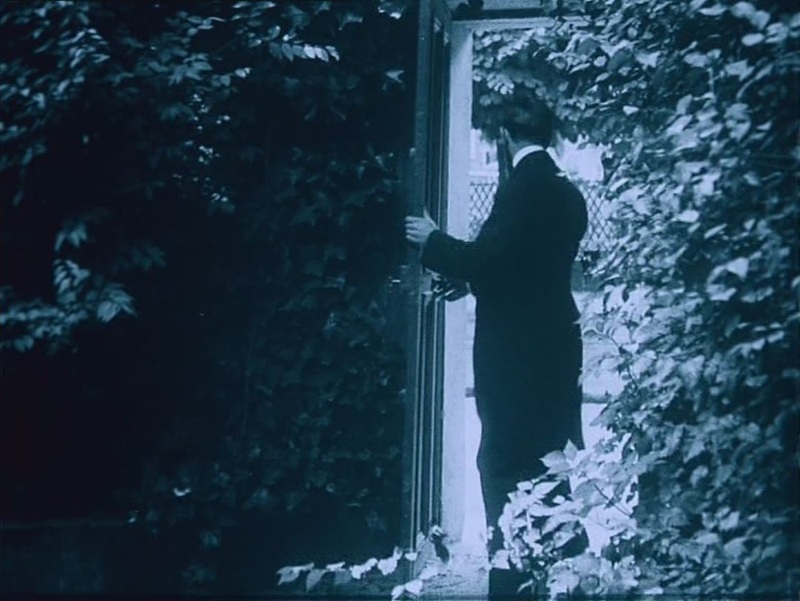 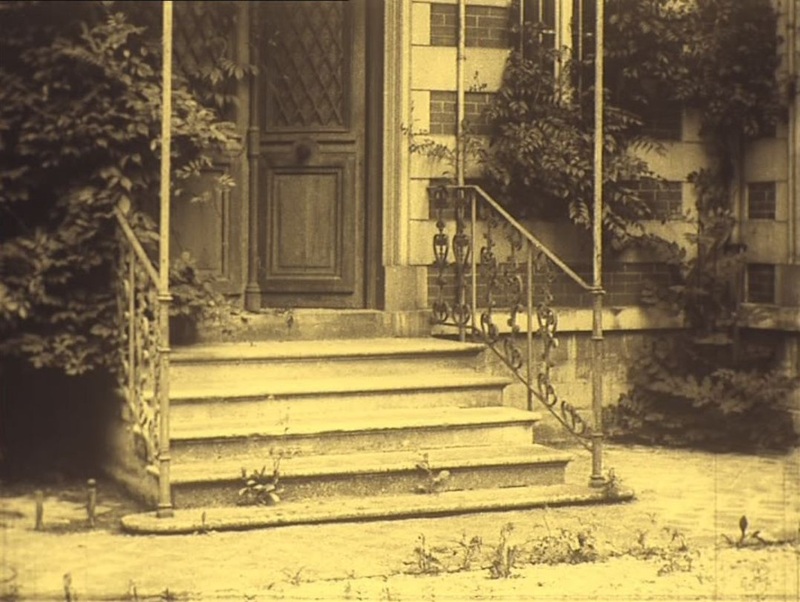 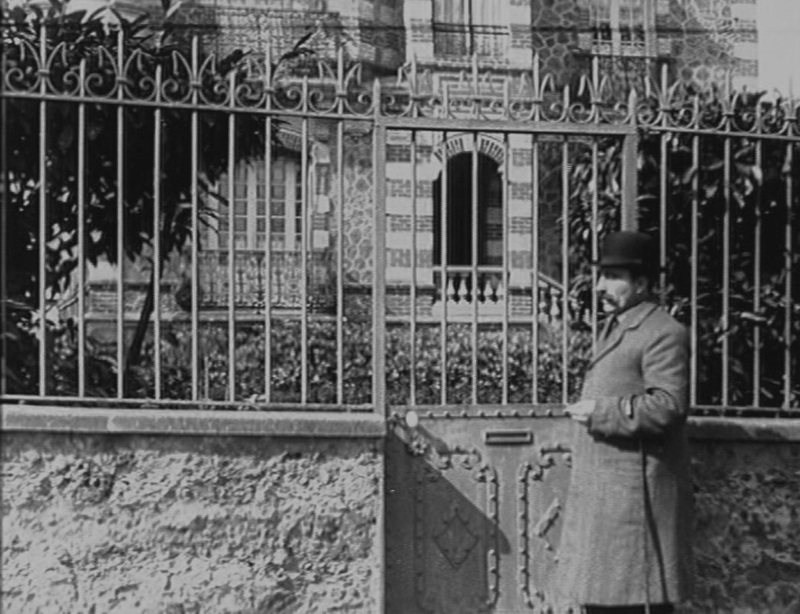 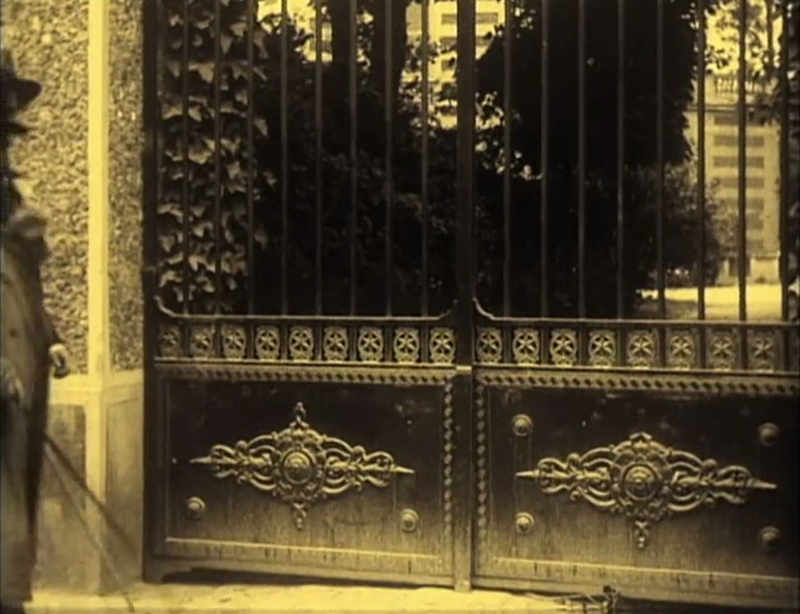 He used his own home as a location in several films, including L'Accident (1912), Fantômas - à l'ombre de la guillotine (1913), Judex - la meute fantastique (1917) and Barrabas - la Villa des Glycines (1919) (see here for more details). 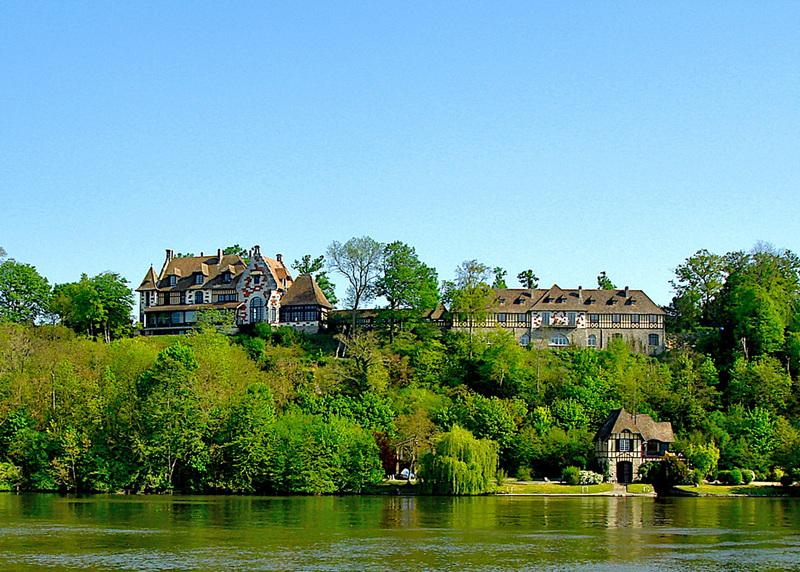 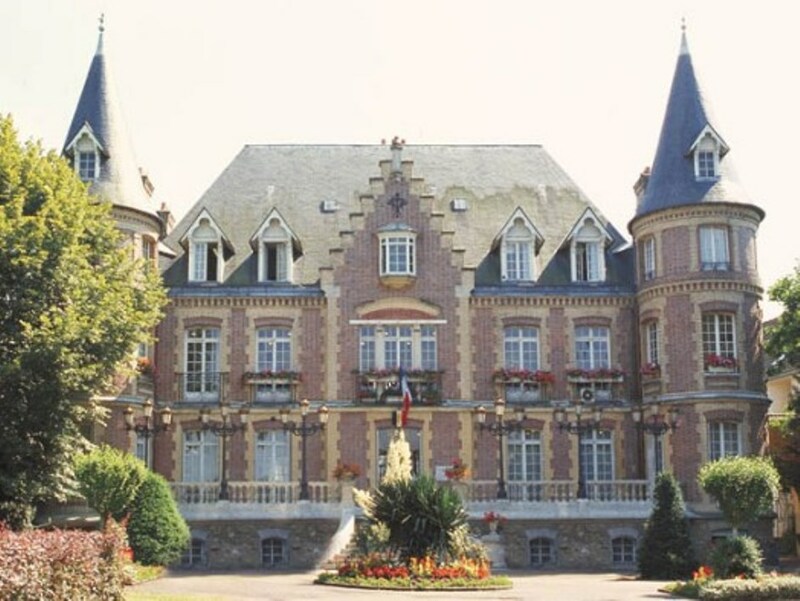 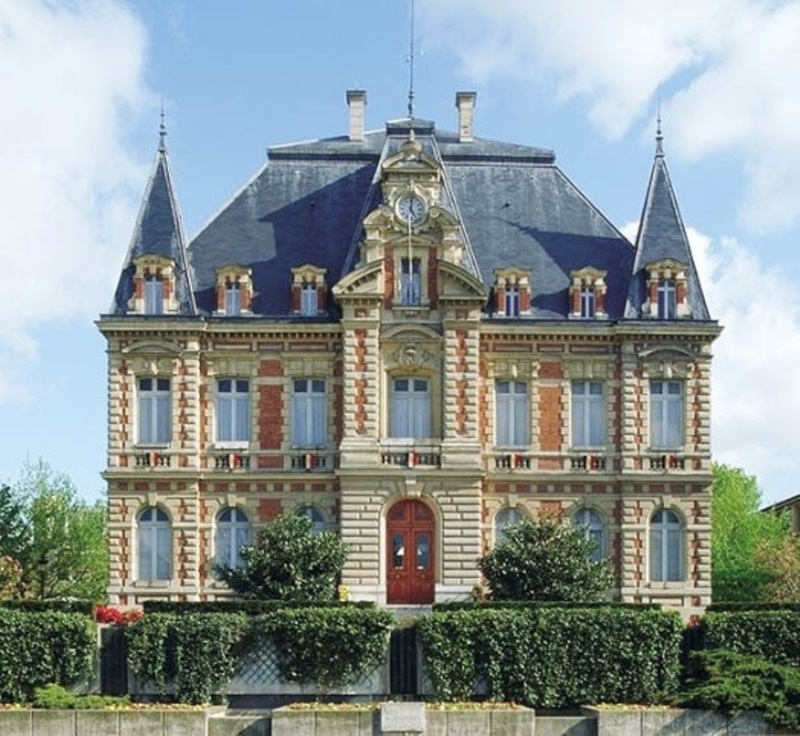 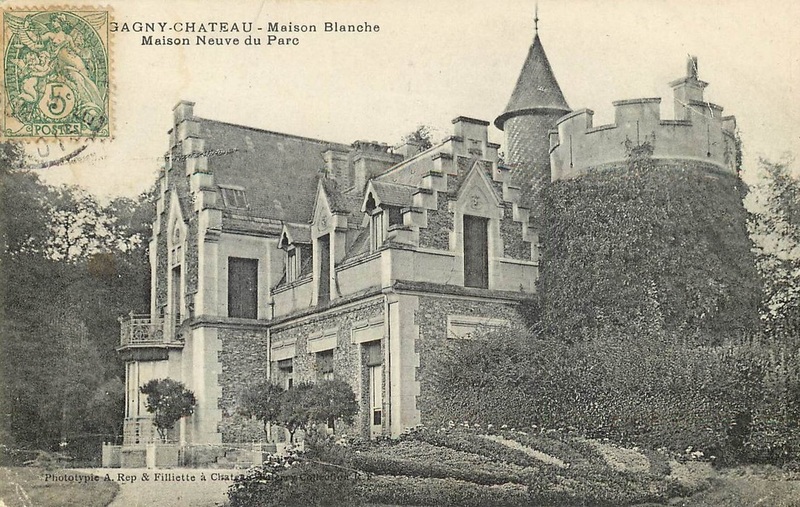 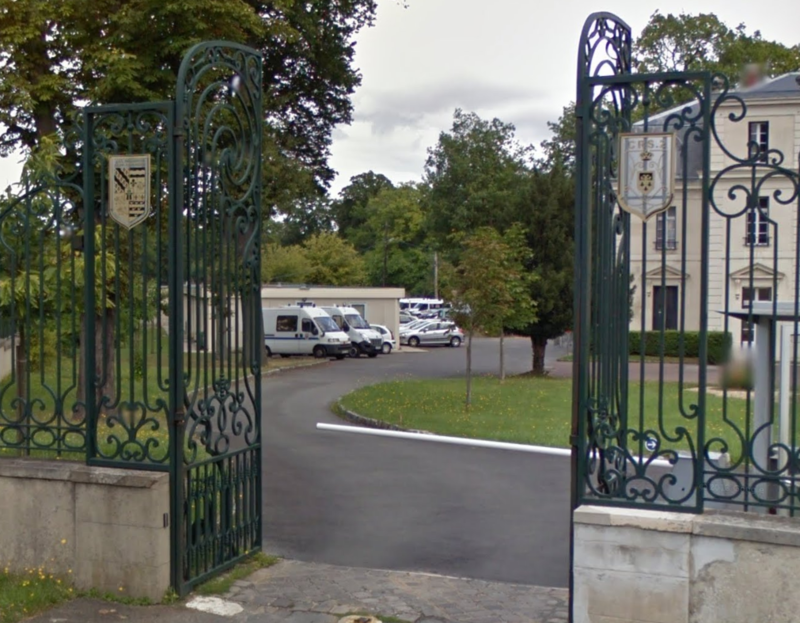 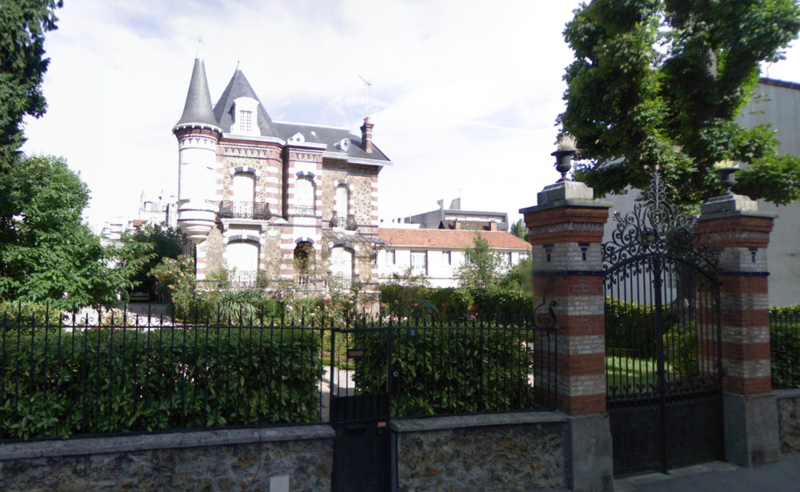 This is the 'Maison Neuve', built c.1900, not to be confused with an older château in Gagny also called Maison Blanche. 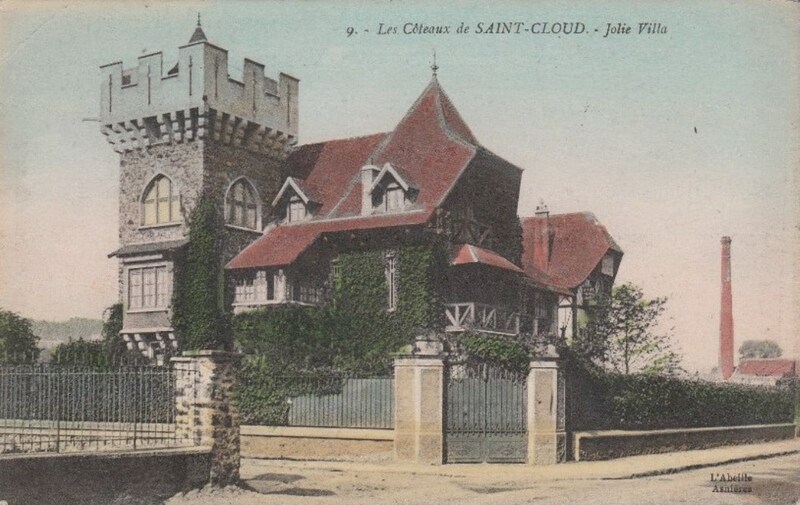 Both are still standing. 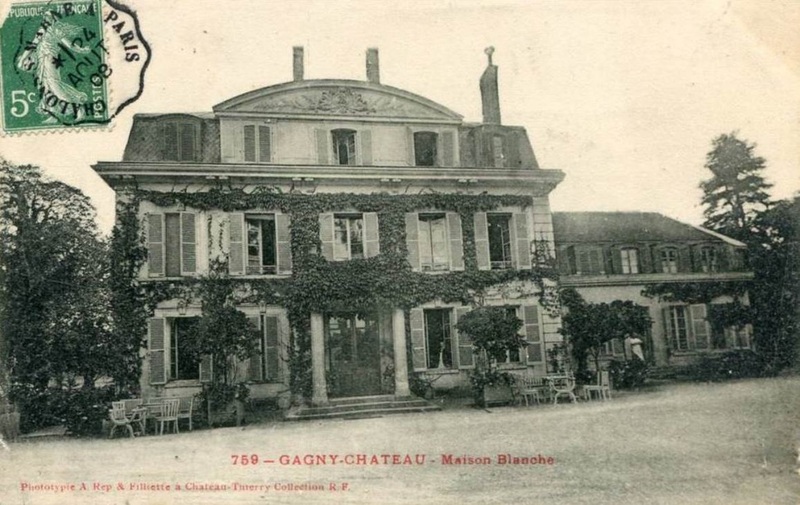 In the 1840s it belonged to Louis-Philippe, the king of the French. 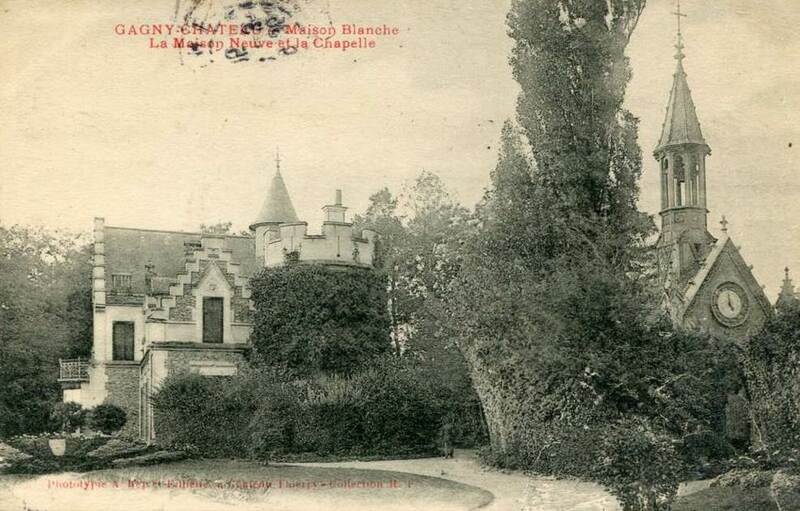 A later owner, the sculptor Michel-Victor Cruchet, added a turret to give it more of a Renaissance air (see here for these details). 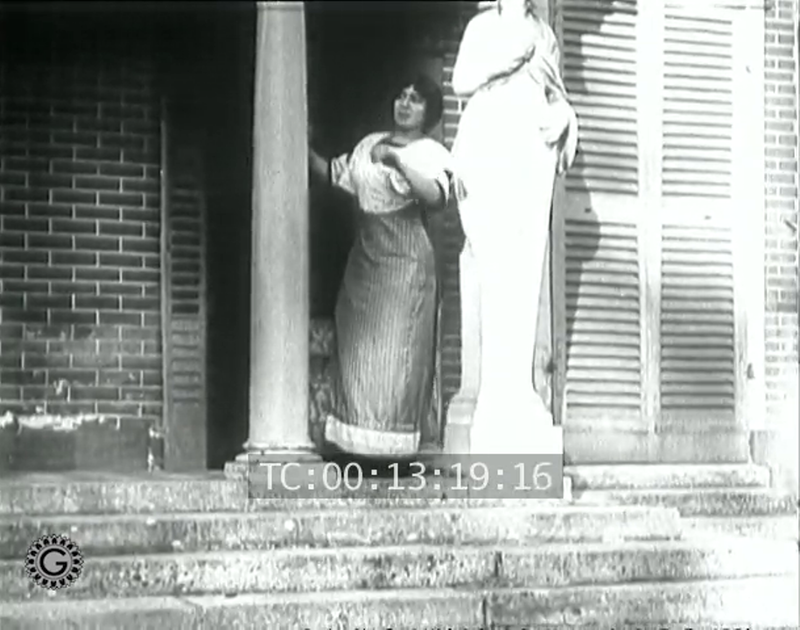 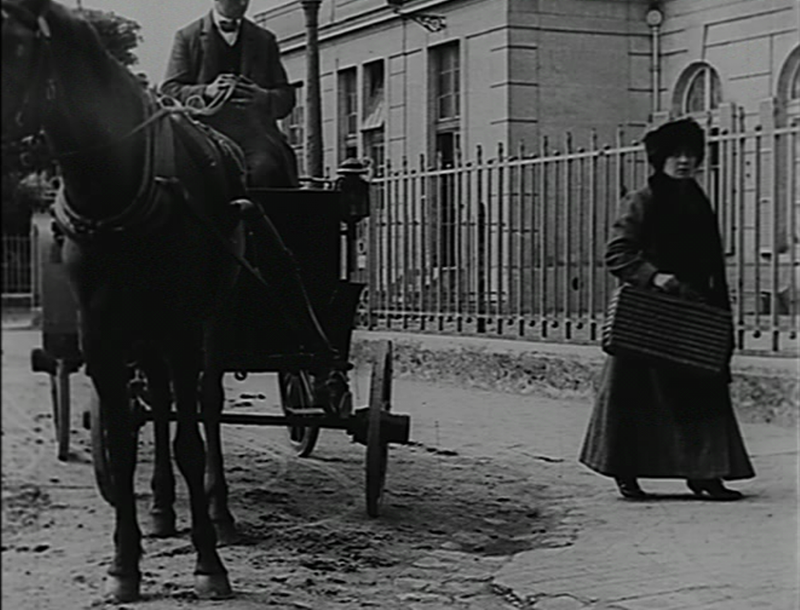 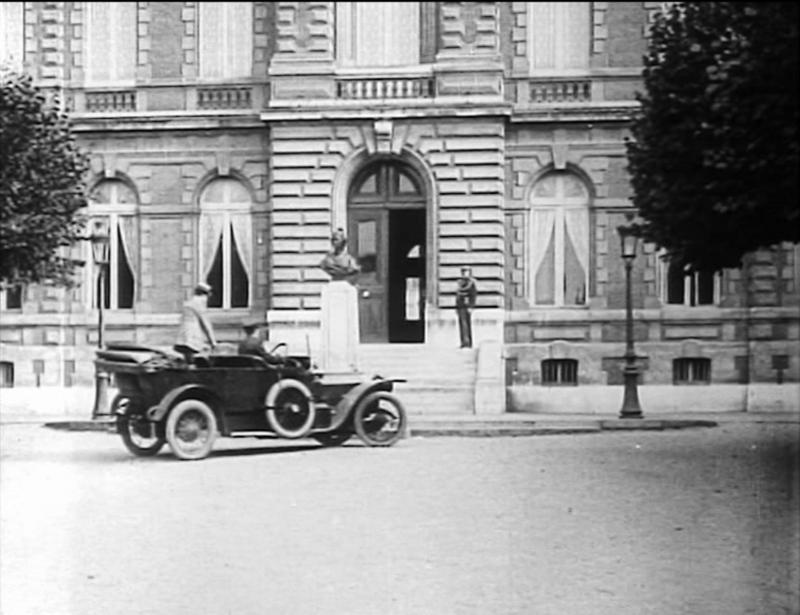 In the year Feuillade filmed there it was acquired by the Boué sisters, high class couturières and women about town. 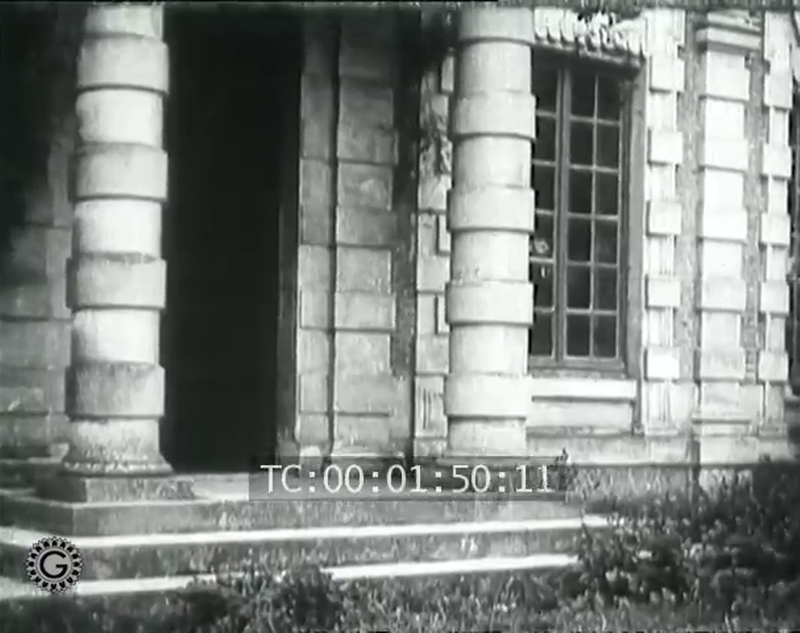 After falling into ruin the building was demolished in 1956. 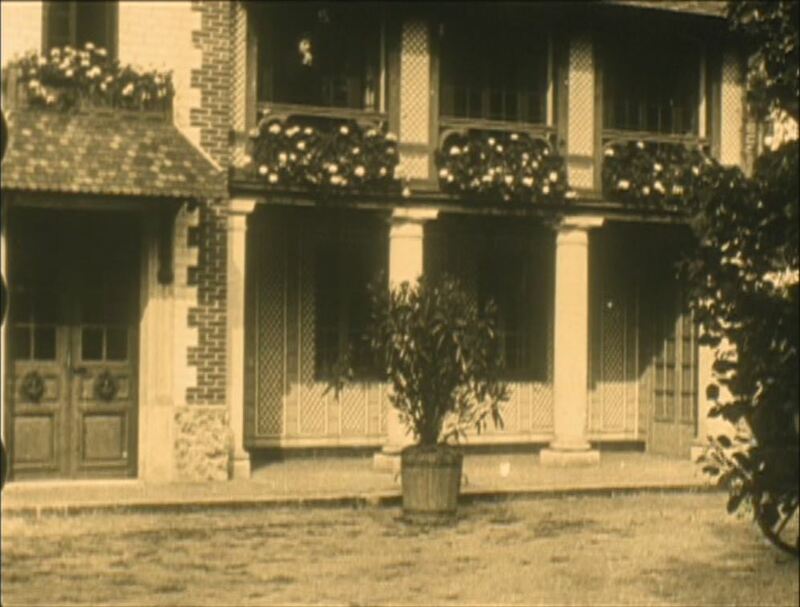 The Chateaubriand connection has no bearing on Le Destin des mères, and it is surprising to find Feuillade at a location so far (about 25 kilometres) from the Gaumont studios, especially when the film uses very little of the location's distinctive features. 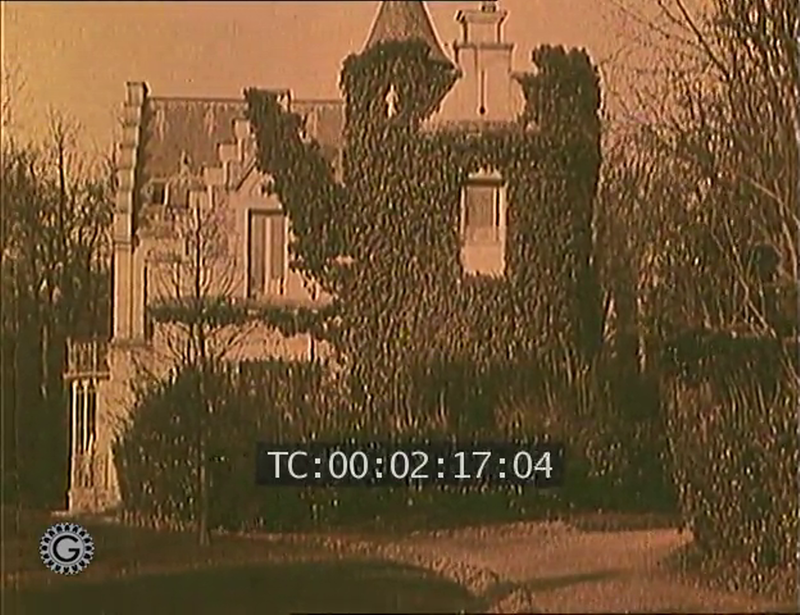 My tentative guess at an explanation would be that those features are more fully exploited in one or other of the films made in the same month with some of the same cast members (Le Chef-lieu du canton, Tant que vous serez heureux), and that it was more convenient to make Le Destin des mères here than to move back closer to the studios or to Feuillade's home. 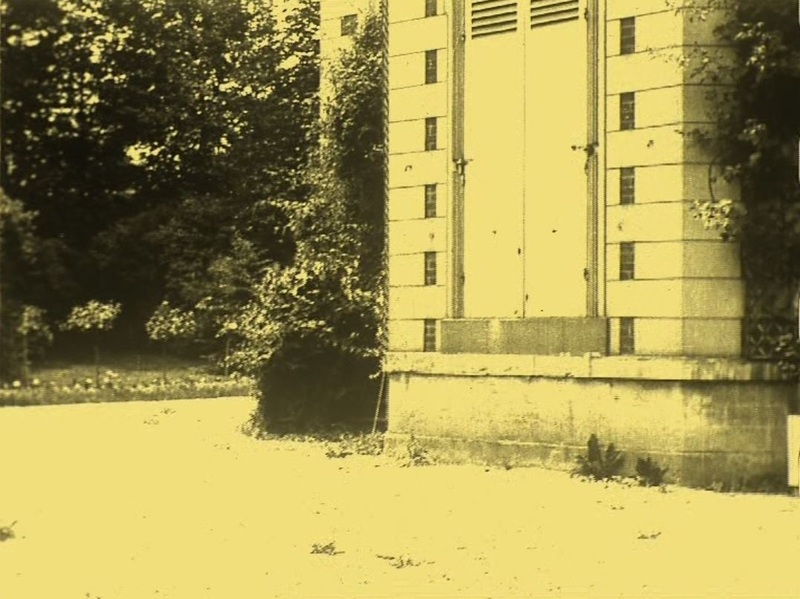 This is just a guess, since I have seen nothing of those other films and have no idea if they were filmed here. 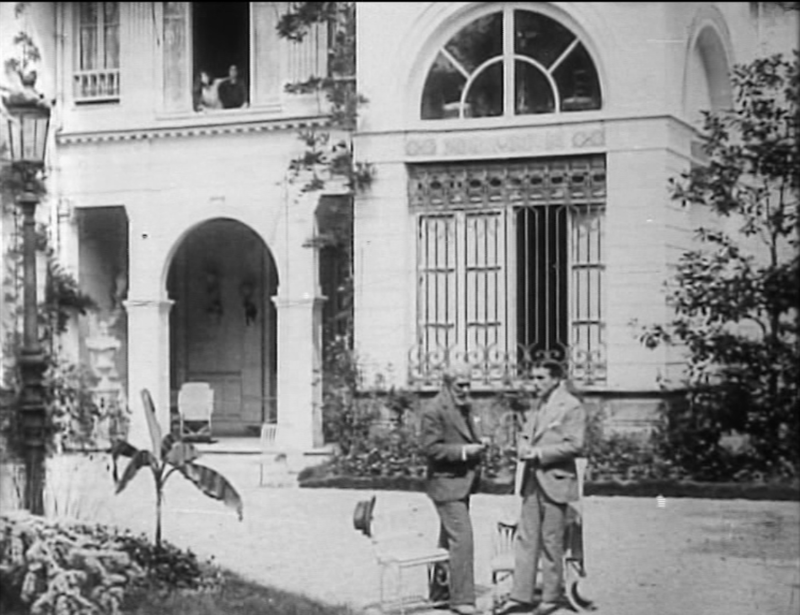 Earlier that same year Oumiroff's villa had been chosen to play a more serious role than film location, as residence for the Turkish delegation to the Versailles treaty talks. 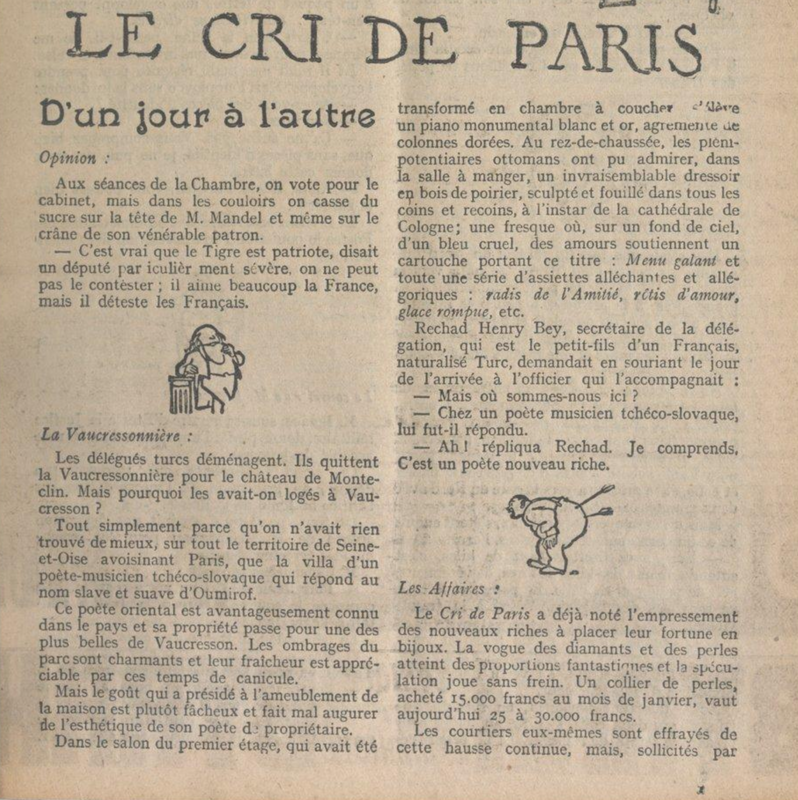 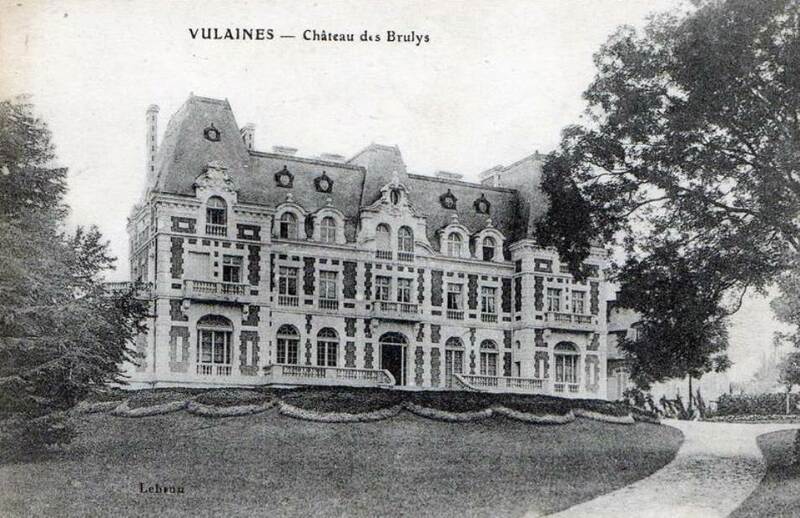 However, on arrival the Turks considered the interior décor of the villa unsuitable and requested that they be found other accommodation (for details see an article in Le Cri de Paris of 22.6.1919, here). 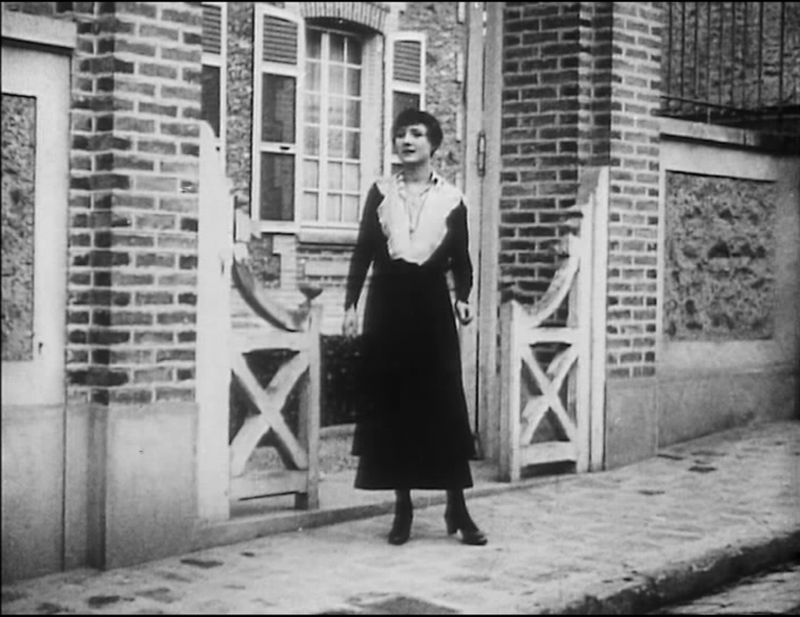 In the 1920s the villa was owned by the Wertheimer family, industrialists who financed and, according to her, cheated Coco Chanel. 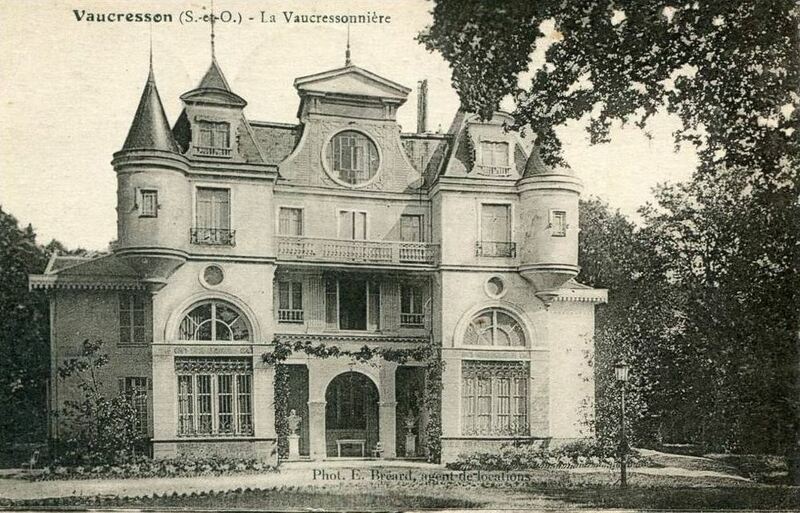 During the Occupation it served as Kommandatur and army barracks, and it now houses a unit of the CRS (see here). 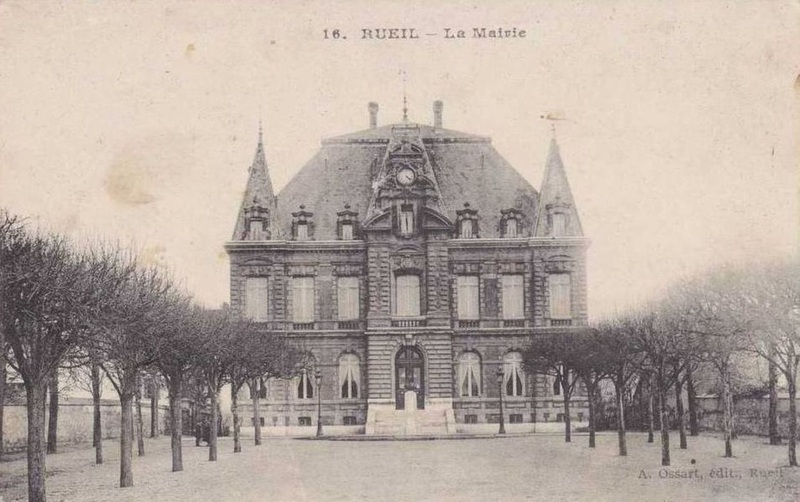 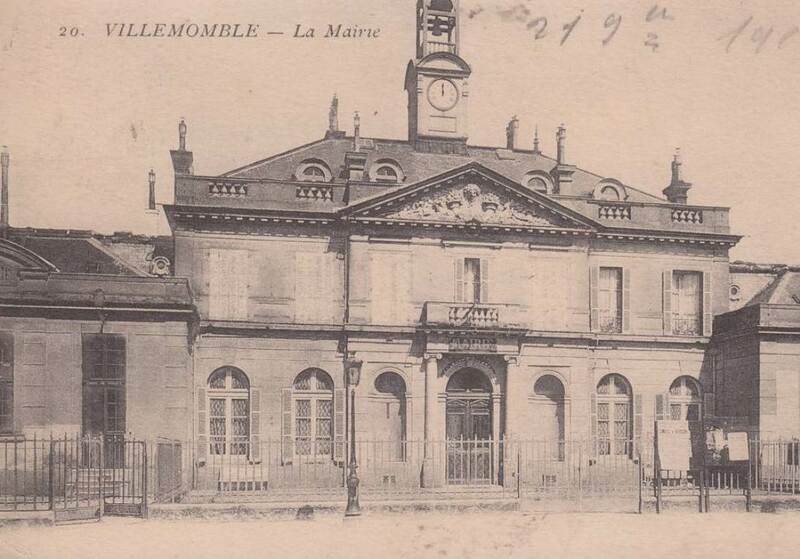 Purpose-built as a mairie in 1869, it now houses the Reuil-Malmaison museum of local history (here). 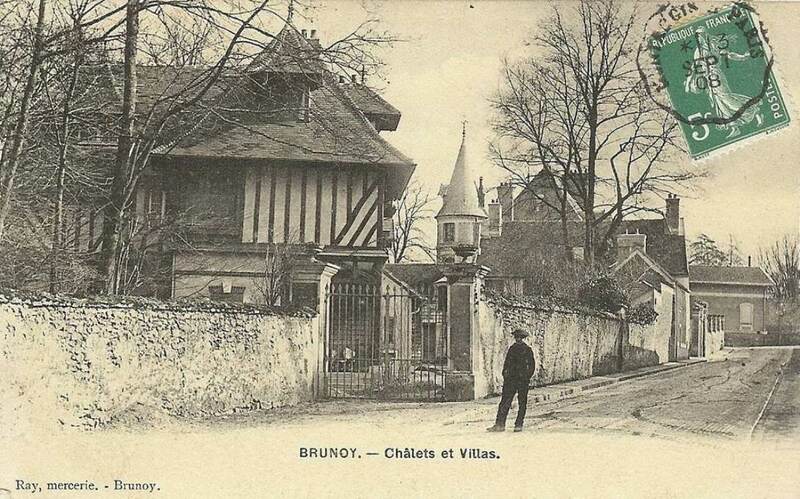 Despite what the postcard says this is not Brunoy but neighbouring Epinay-sous-Sénart, south-east of Paris, about 30 kilometres from the studios. 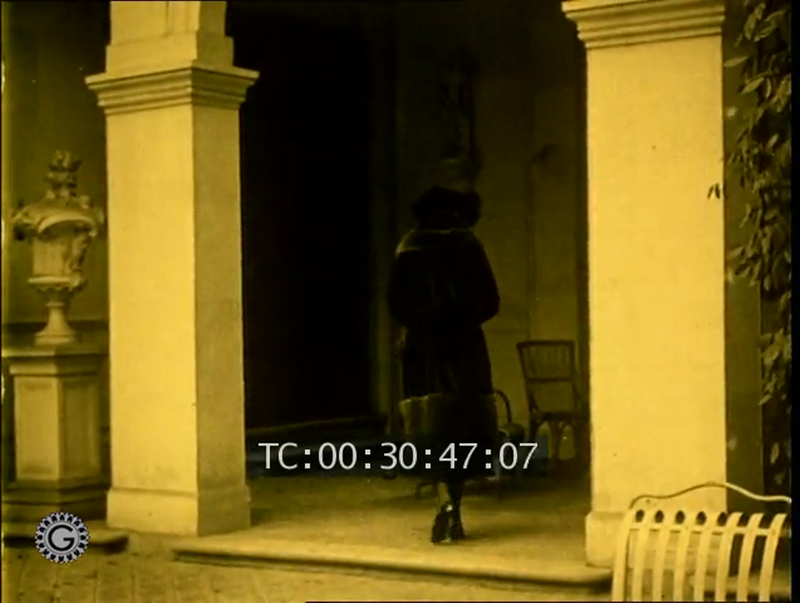 The last twenty minutes of this episode are filmed in the area, at Brunoy and in the forest of Sénart. 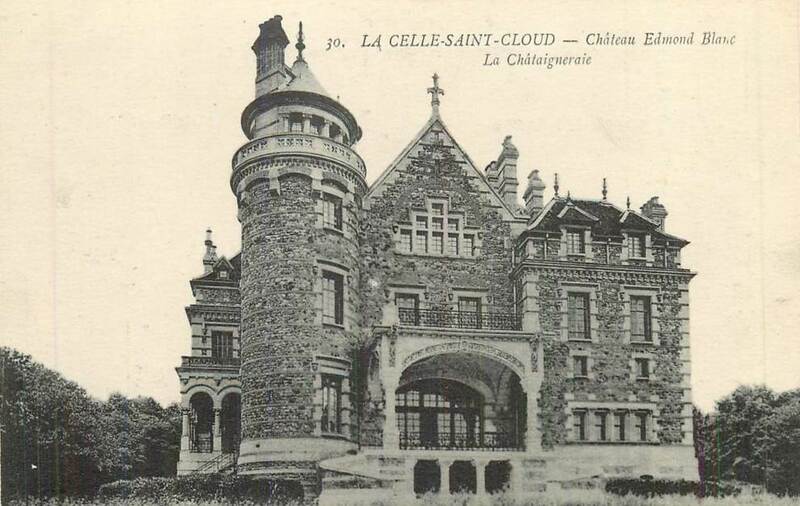 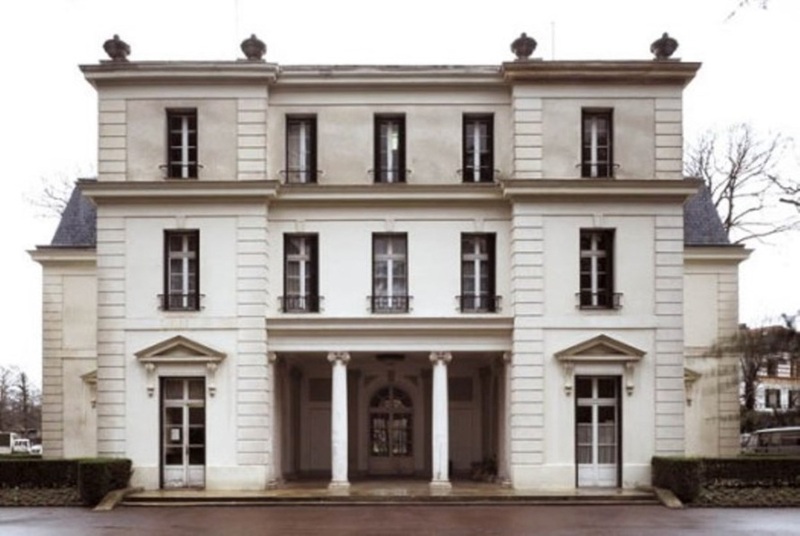 The château was built at the end of the nineteenth century for Eugène Ritt, the director of the Paris Opéra; when Feuillade filmed there it was the home of Ritt's daughter Charlotte and her husband the sculptor Jacques Froment-Meurice. 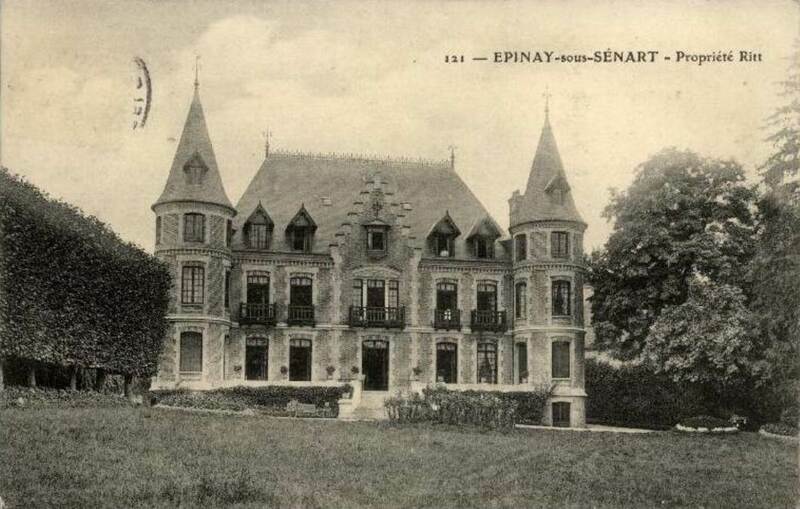 It became the mairie of Epinay-sous-Sénart in 1969. 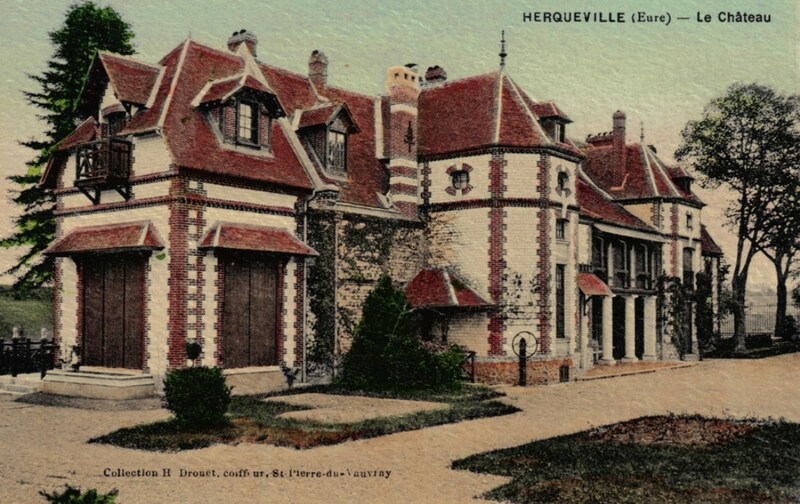 The actual location is at Herqueville, about 40 kilometres further in the same direction but beyond even the broadest limits of the suburbs and into the next département. 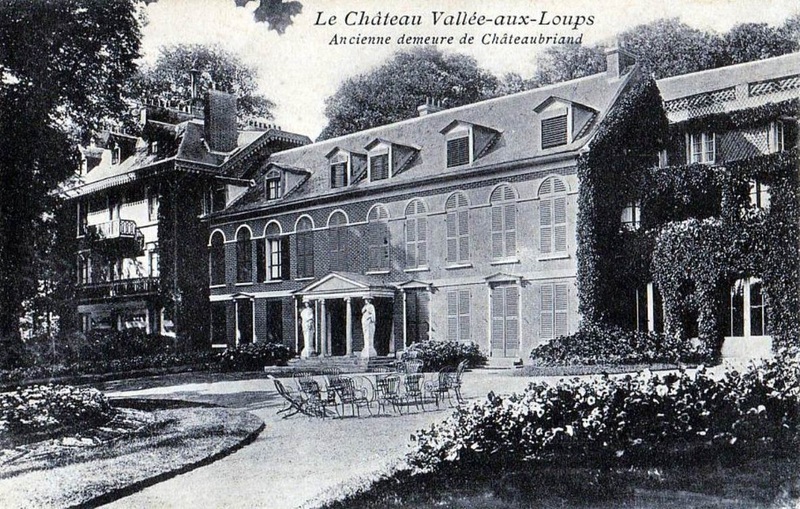 The whole production was based in this area for the first five episodes of the serial, using the old mill at Andé and, famously, the ruins of the Château Gaillard at Les Andelys (see here for more on this last location). 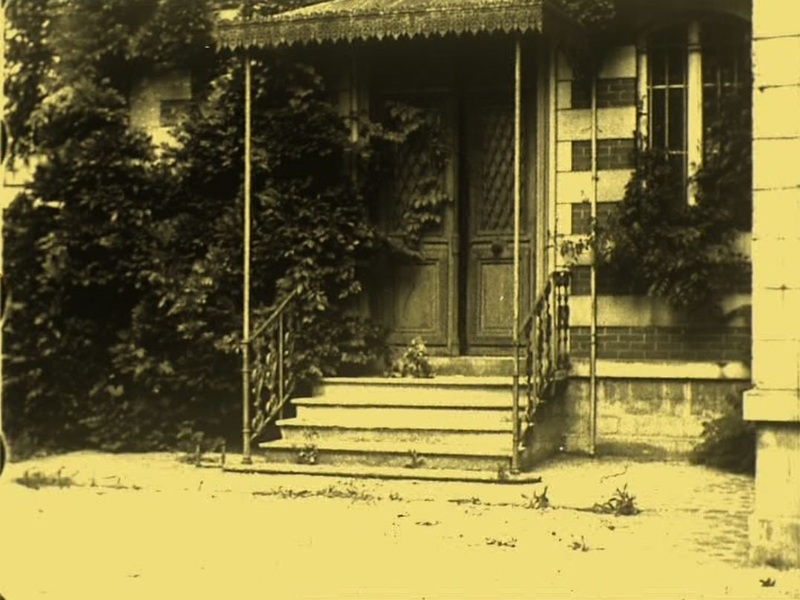 © Bodinier, Bernard, Petit-Decroix, Yvette. 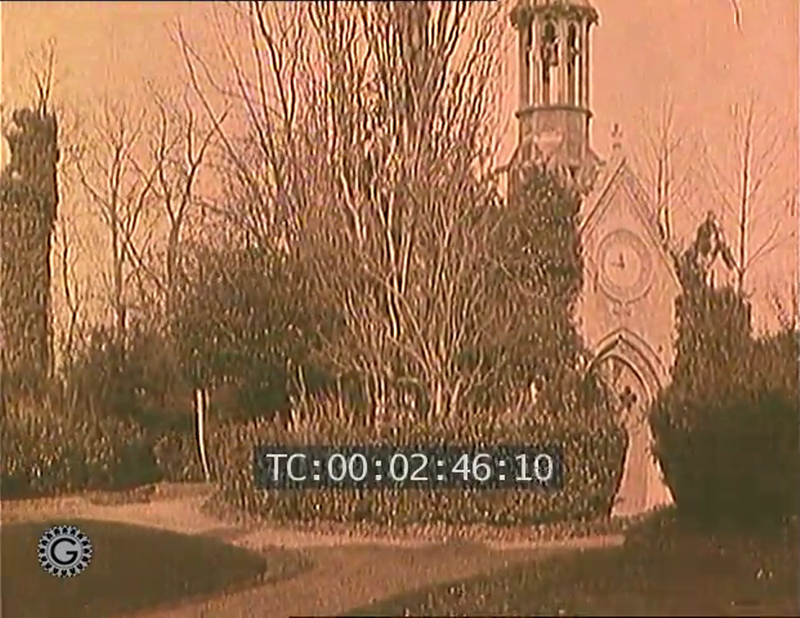 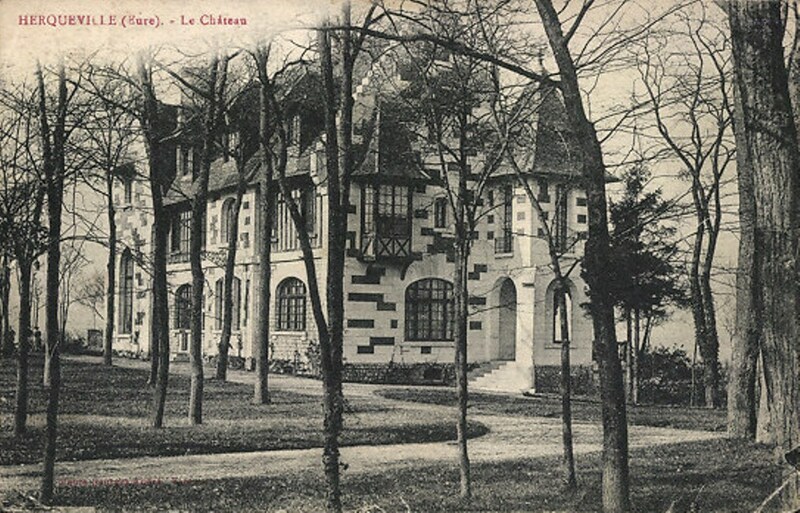 In 1934 Renault bought the château we see in Judex and demolished it. 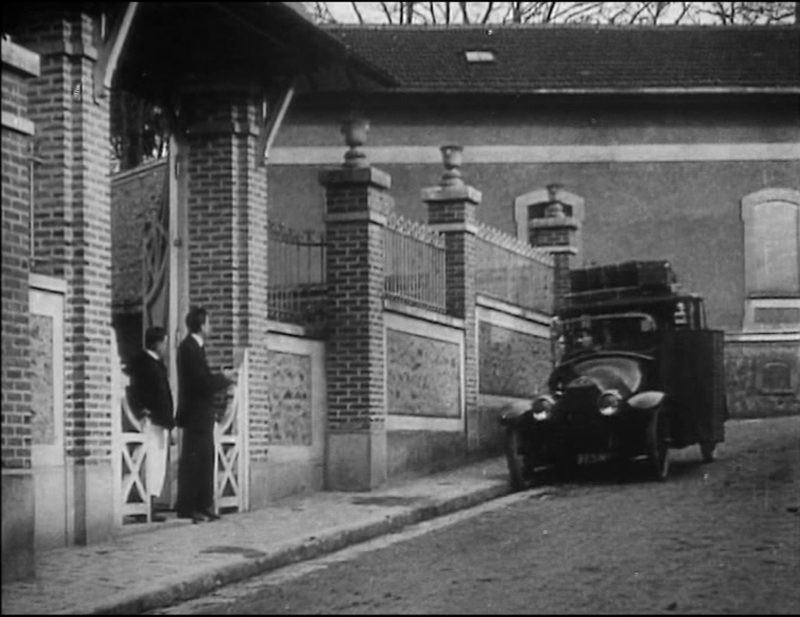 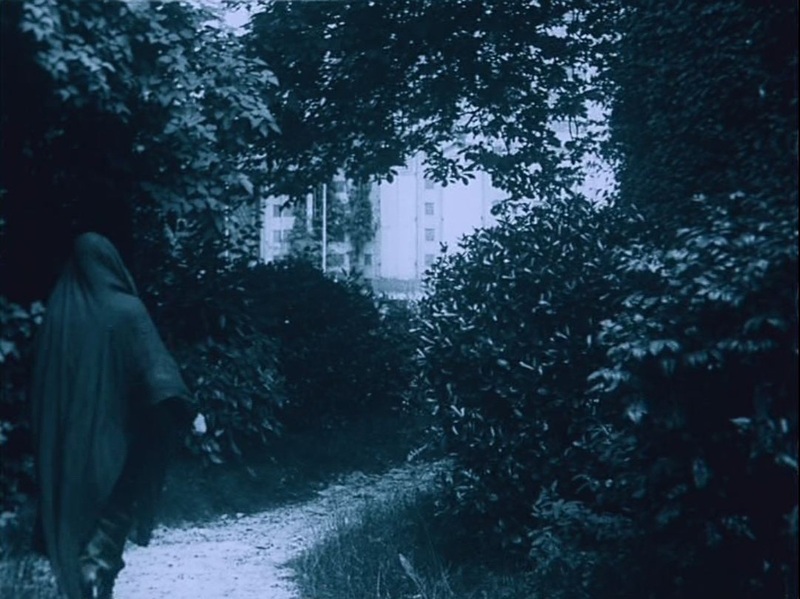 For his films set and shot in the South of France, such as Tih Minh (1918) and the latter parts of Judex and Barrabas, Feuillade also used isolated villas as locations - to be discussed in a future post. 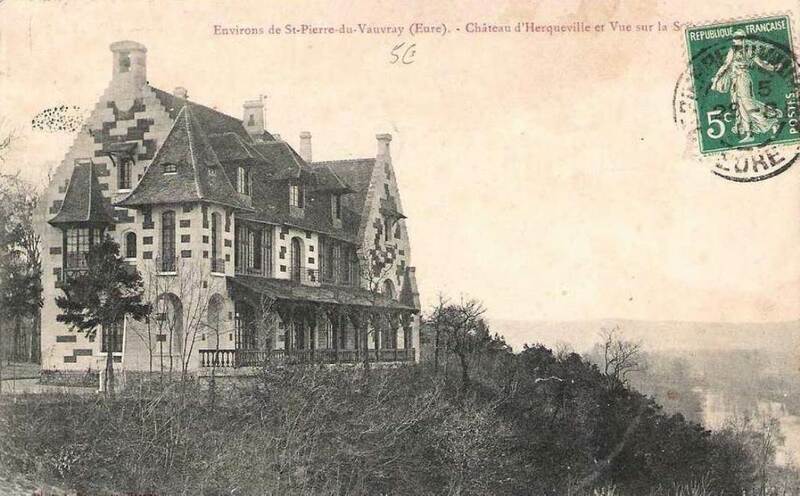 I've looked very hard for this mystery villa, with no luck. 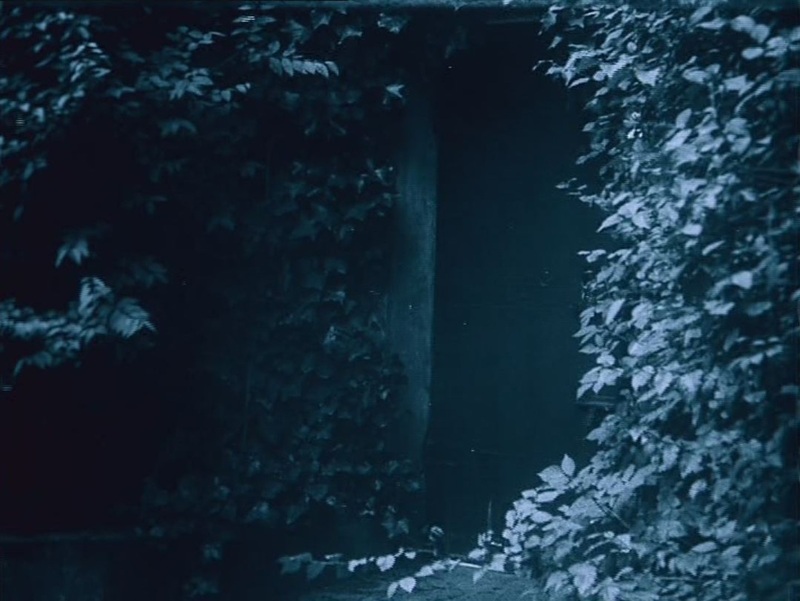 If that changes I shall post again.